Lately mould had been very much on my mind. Everywhere I go; there it is on leather objects, paper documents, photographic material, textiles, wooden furniture… I am haunted. So I am compelled to use my blog turn to encourage you all to be vigilant and regularly check your collections especially after periods of heavy rain and high humidity. Ideally this should be part of a wider Integrated Pest Management program. A small isolated outbreak is much easier to deal with than a large one. 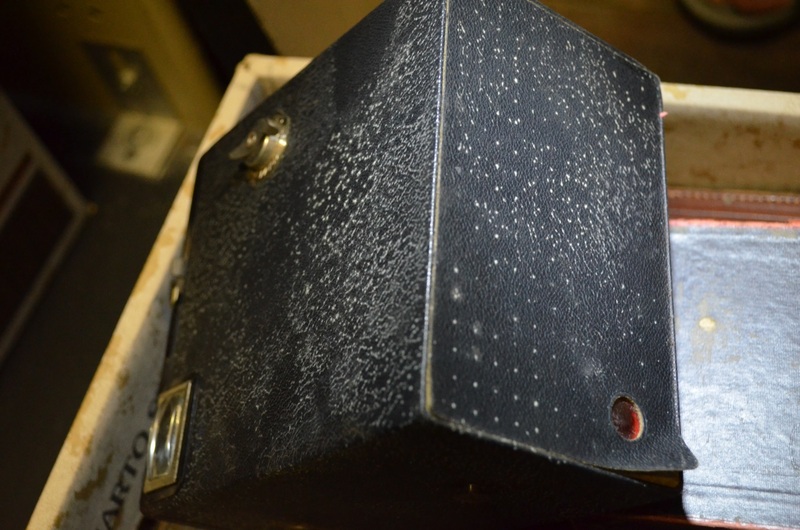 Box brownie camera with active mould affecting leather surface. Mould (the common term for fungal growth) can cause major, irreparable damage to a wide range of organic materials found in heritage collections. Staining and structural weakness is the most common form of damage. When fungal spores are in a conducive environment, they will germinate and spread. What constitutes a suitable environment varies for each species. 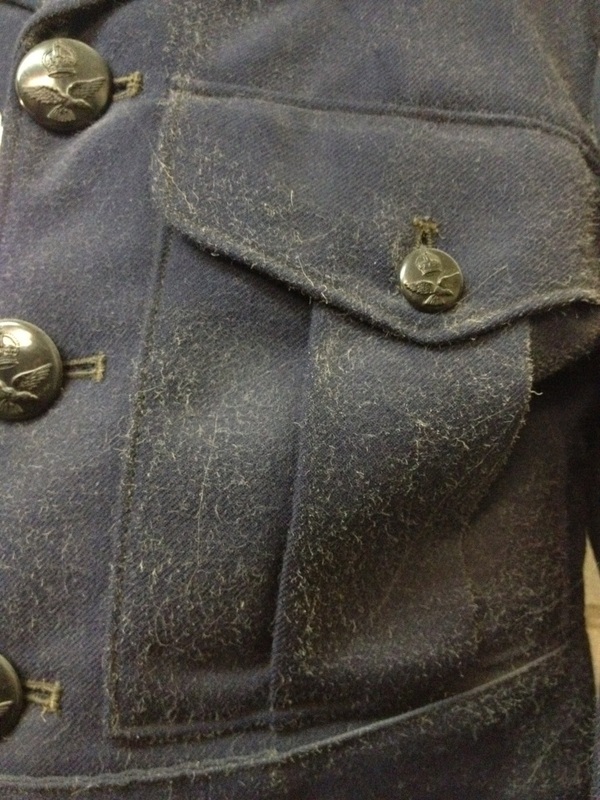 Many of the species affecting cultural heritage materials require moisture (e.g. water damage and/or high humidity above 65%), stagnant air pockets and surface dirt. It is very important to minimise the risk by maintaining relative humidity around 50-55%, ensuring good air movement and keeping collections and storage and display areas scrupulously clean. This will also reduce the risk of insect activity. If you find fungal activity in your collection, take care. Some species can cause major health problems particularly for people who suffer from respiratory conditions and allergies. Avoid the area if you think you’re at risk. For small outbreaks, wear appropriate Personal Protective Equipment (PPE). At a minimum, you will need a P2 respirator mask (the kind with the filter valve on the front of the mask), nitrile gloves and enclosed safety googles. Listed below are a number of websites providing advice on how to deal with outbreaks. If you are unsure what to do, seek advice from a conservator or your MDO. If the outbreak is large, I would strongly recommend quarantining the room and collections and seek assistance from a mycologist. Lydia Egunnike, Museum Development Officer, Southern Inland Queensland.